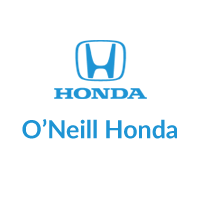 Nearly every company considers their team and staff to be one of the best and at O'Neill Honda we fall into that category. The difference is — we firmly believe that the team of individuals we have brought together IS the best in the business. Every member of our team is passionate about what they do and about delivering an unmatched customer experience. Do you have what it takes to join the team? We are always looking for sharp, energetic and driven team members that will join our staff. When you join the O'Neill Honda team, not only will you be working with the best in the business, but you will simply enjoy coming to work everyday. With many jobs and at many businesses, it becomes a chore to go to work everyday — O'Neill Honda isn’t one of those. We also offer a full benefits package for our team members. Fill out the form below and join the team!